The following list contains a sampling of national and local legal resources. The organizations listed below are by no means an exhaustive directory of legal service providers; however, in many cases they are able to provide pro bono advice and/or representation. Denials, Sanctions, or Discontinuances of Public Assistance, Food Stamps, Medical Assistance, Child Care benefits, Non Dependent Grantee, and HEAP. The Nutrition Outreach & Education Program conducts pre-screenings & assists Food Stamp applicants in Monroe County. Call (585) 295-5624. The Veterans Justice Outreach (VJO) Program is a newly-designed program that collaborates with the VA Homeless Program. The goal is to reach out to community justice programs to identify and work with veterans who are having problems or repeated contact with the legal system. The work of the VJO Coordinator includes outreach and collaboration with law enforcement, probation and parole departments, jails, and the court systems in each county. Click here for more information about this great resource. 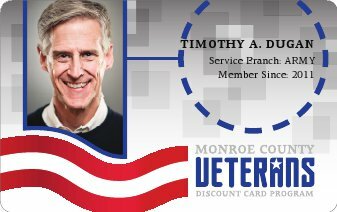 The Monroe County Veterans Treatment Court held its first session in January of 2008. It was the first court that specialized and adapted to meet the specific needs of veterans. The mission driving the Veterans Treatment Court is to successfully rehabilitate veterans by diverting them from the traditional criminal justice system and providing them with the tools they need in order to lead a productive and law-abiding lifestyle. In hopes of achieving this goal, the program provides veterans suffering from substance abuse issues, alcoholism, mental health issues, and emotional disabilities with treatment, academic and vocational training, job skills, and placement services. The program provides further ancillary services to meet the distinctive needs of each individual participant, such as housing, transportation, medical, dental, and other supportive services. Volunteer Legal Services Project (VLSP) of Monroe County, Inc.
VLSP provides free legal help to low-income residents of Monroe County, New York who are facing non-criminal legal problems. VLSP's services are provided by 1,500 pro bono volunteers who donate their time and talent to ensure that low-income people have access to the justice system when faced with serious legal problems. VLSP does NOT handle: Criminal matters or fee generating cases; for example, suing for personal injury. The Veterans Consortium Pro Bono Program provides free attorneys to veterans and their qualifying family members who have an appeal pending at the U.S. Court of Appeals for Veterans Claims (Court). If an appellant has filed an appeal with the Court, he or she can request assistance from The Veterans Consortium. The Veterans Consortium Pro Bono is a joint program of The American Legion, Disabled American Veterans, National Veterans Legal Services Program and the Paralyzed Veterans of America. It is funded by a grant administered by the Legal Services Corporation. Click here for more information about these and other services provided by Lawyers Serving Warriors, click here. Vietnam Veterans Memorial Corporation of Greater Rochester, Inc.